“Why should you consider investing in custom software? Off-the-shelf software cannot meet every need. Canned solutions generally address many of the needs of most companies. If your business has specialized needs, custom software may be better qualified to meet them. Canned solutions are rigid. The vast majority of off-the-shelf software will not allow you to modify its functionality in a meaningful way. It may be difficult to add or subtract built-in features, leading to either too many or too few functions for your company. Off-the-shelf software may not be compatible with other programs.Your business might rely on Software A to complete one task and Software B to finish a second, related task. If the two programs do not communicate effectively, they may hinder your efficiency. If you build your own software, you can integrate with a wider set of APIs from different software and data partners. How can custom software help scale your company? Increased productivity. Programs that are specifically designed with your needs in mind can enable your team to work faster and smarter. You can create one comprehensive technology platform as opposed to using multiple different programs. An integrated platform can yield major efficiency gains since all the data is one place and users do not have to switch between different websites as part of their workflow. Competitive advantage. When you rely on the same off-the-shelf software as your rival does, it is that much more difficult to outperform them. By designing your own technology that is ideally suited for your specific business operations, you can garner a competitive advantage relative to your competitors. That advantage grows as you invest more heavily in your proprietary systems. Faster reaction time. 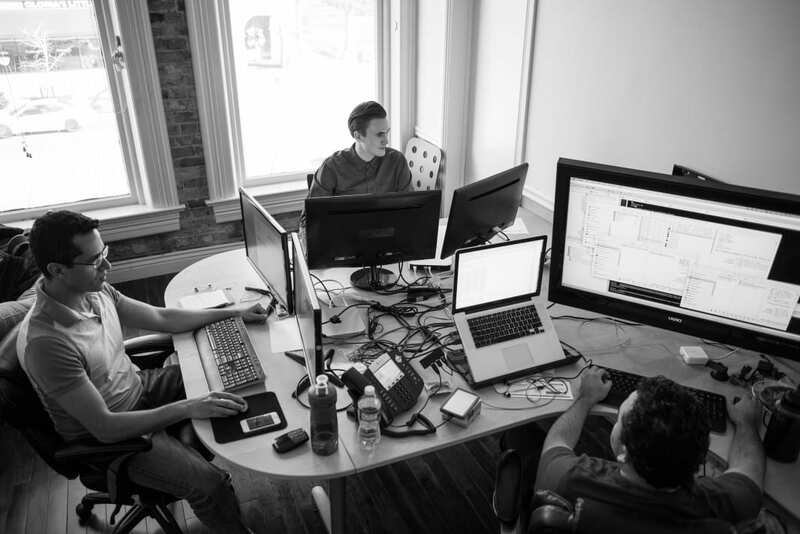 To build great custom software, you must first hire a stellar software development team. Once that team is in place, they can build a variety of products, tools, and systems. As your business needs change and as your industry evolves, being able to quickly shift technology strategies can mean the difference between market dominance and obsolesces.